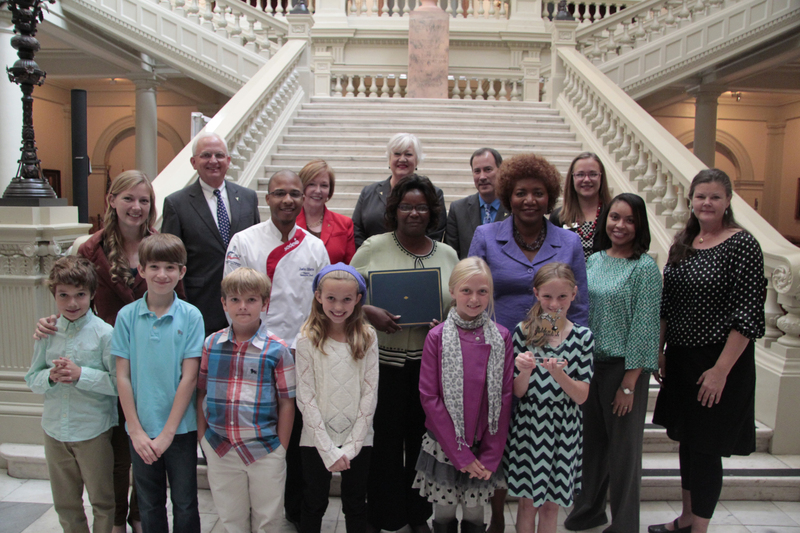 ATLANTA— Atlanta Public Schools was recognized with the Golden Radish Award, a prestigious state-wide farm to school distinction which acknowledges the outstanding leadership of school representatives building comprehensive farm to school programs. Locally grown food items were featured in school meals 177 times this year. Local items included: romaine lettuce, carrots, strawberries, and apples. All schools also offered locally grown food 2-3 times a week as part of the reimbursable meal plan. There are 53 edible school gardens evenly distributed throughout the district, including one high school garden with a greenhouse on school grounds. Students participated in a total of 3,396 taste tests of 85 different locally grown fruits and vegetables this year, including grapefruit, muscadine, and green bell peppers.